On The Wall | Rich TAkes! I’ve been railing against the invasion of illegal aliens for thirty years. Walls are dumb, they have been around for at least 4000 years because they work. President Trump and the Republicans in Congress need to hold out until they can pass legislation and appropriations to secure our border. Defending our nation is the first order of business, it’s far past time to actually do it. The McAllen southern Texas Sector has only about half of the border fenced or barriers installed. It is no wonder that 96% of their apprehensions occur in the western area with no barrier. This single sector of our southern border makes around 700 or more apprehensions each week. Drug cartels insert “migrants” who turn themselves in to the Border Patrol, while at the same time they are smuggling drugs a few miles away. A wall alone will not solve the problem, we also need to eliminate the magnets that draw alien invaders to begin with. We should start with bogus asylum policies which as it stands today means that anyone Other Than Mexican with one foot on our soil can claim asylum. Illegally crossing our border purely for economic reasons is not grounds to claim asylum. Demonstrating good reason that the government that you’re fleeing will kill, imprison or otherwise persecute you, however is good grounds. That is not the case for 99% of these illegal invaders. With 750,000 back-logged asylum cases awaiting a hearing, over a three year wait, ICE has no choice but to release those apprehended on our soil, after issuing a notice to appear. Less than 10% ever show up to their hearing, and are ruled deported, even though we have no idea really who they are or where they are at. We need to set up INS courts in each of the 14 border sectors and fast-track the hearings within two weeks. End catch & release. With medical care, education and in many cases housing, the costs to taxpayers are skyrocketing. Illegal aliens in many respects have more rights than American citizens. Finally, nothing will change significantly unless our willy-nilly policy of granting birth-right citizenship to anyone born in the USA is ended. 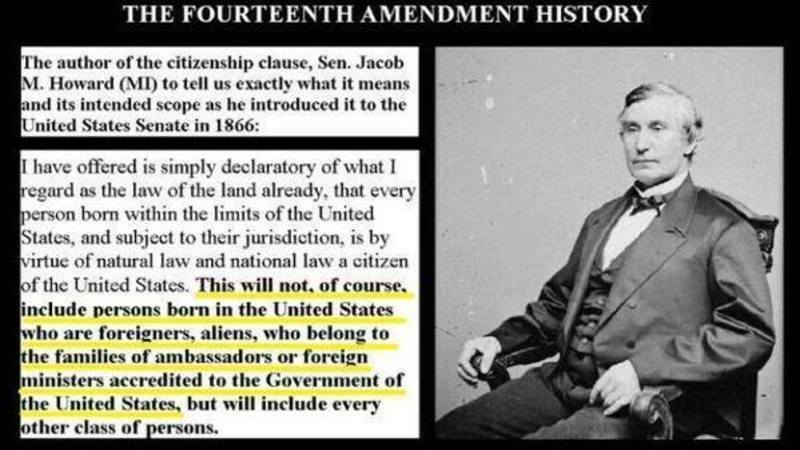 Contrary to what many believe, the 14th Amendment has never granted citizenship based solely on the fact that a child was born in the USA. Granting citizenship status to all is a fairly recent phenomina. The Supreme Court, nor any lower court has never ruled on it either. This is perhaps the biggest magnet of all, and it is not limited solely to illegal aliens. Legal aliens here on visas of any sort also take advantage of our idiocy. There is only one way to stop illegal immigration, and it’s quite easy. Make illegal immigration unambiguously illegal, once and for all. The bottom line is that we need to repel the invasion, not manage it. The law requires the POTUS to cite why there is a National Emergency when declaring a National Emergency and allows Congress to terminate it in 180 day intervals with a Resolution from both the House and the Senate. Duh! The law necessarily discriminates against law-breakers. Isn’t that why we have laws to begin with? No problem for Democrats here. 5.7 billion to upgrade and extend the border barrier is a problem? Obama’s 787 Billion complete waste of money “Stimulus” Bill wasn’t a problem for Dems either, was it? It’s important to note that Mexico offered asylum and legal worker status to the caravan marches. Very few accepted Mexico’s generous offer. Not much has changed in 10 years, has it? Except that today Dems don’t want to support any of it. Please note that this Bill was passed decades after the 14th Amendment was ratified. The 14th does not say that anyone born on our soil automatically enjoys the Rights of citizenship. Birthright Anchor Babies aren’t cheap. That’s 650 million in one county in CA in a single year. How many billions do you suppose we are paying across the country? Search “People Without Borders” A Soros Open Society group organized the caravan of invaders. Two Claremont Institute fellows give an in-depth talk on birthright citizenship . Roughly 75 minutes run-time. Professor Emeritus Richard Lindzen chaired the MIT climate department for years, and also chaired a group in the UN’s IPCC I and IPCC II. (that’s Intergovernmental Panel on Climate Change) He is acknowledged as the US’s most renowned climatology academic in the world. 55 minutes run time. 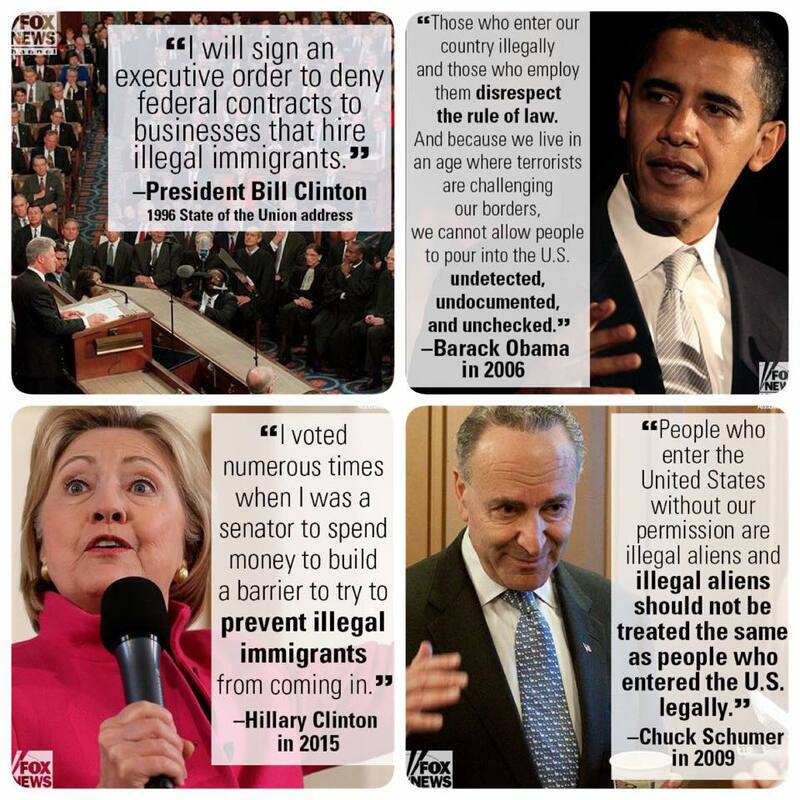 “illegal alien” is the correct legal term. First Bernie Sanders, and now AOC have revealed themselves to be full-blown Socialists. This is a comical yet scary trend. I will probably do a full-blown topic on this in the future. Don’t be surprised if this one is on the spring Supremes docket. It’s pretty tough to beat the Chicago Machine. It’s no different than New York’s Tammany Hall. See below. It’s clear that liberal activists want their cohorts to follow in the steps of “Big Tim” Sullivan and bring in as many ineligible voters as needed to swing close elections. They succeeded in stealing the election in Orange County, CA. >>the local news source that had originally reported Arcan Cetin’s not being a citizen issued a correction. Cetin is in fact a naturalized U.S. Citizen.<< This fact does not change the point of the article. This entry was posted in Climate Change, politics, Rich TAkes! by Richmedia. Bookmark the permalink.